Of course this will vary from race to race, but for the sake of this exercise, let’s look at how you can use Georgia’s strategy on Awareness vs. 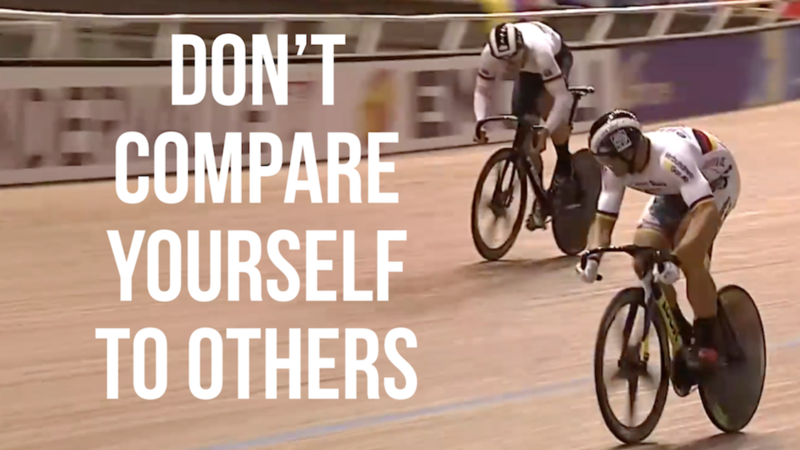 Comparing in a Scratch race. 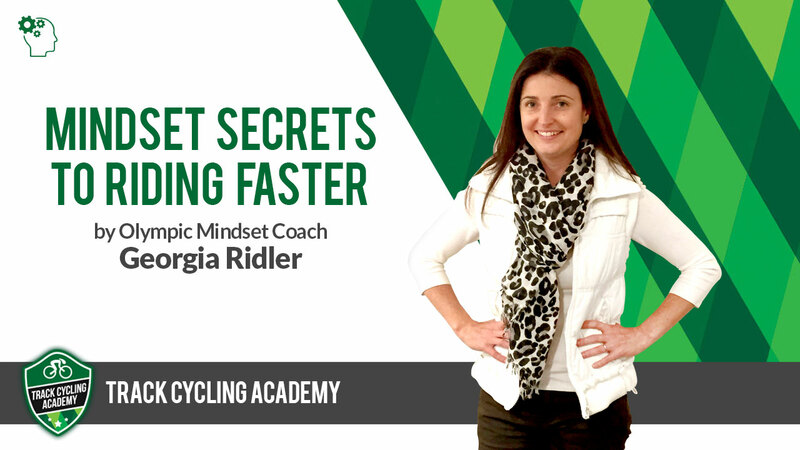 In the Scratch race as you get on the start line, you may or may not know the strengths and weaknesses of athlete’s that are in your race. If you do, that’s great because that will enable you to be aware of tactics that may be utilised in the race by others. Having insight to what others may or may not do allows you to prepare yourself accordingly to counteract tactics, or utilise them to your own advantage. It’s important to know that having insight into potential race tactics or manoeuvres of others is a strategy that can be used BY YOU TO ASSIST YOU, and not for the purpose of COMPARING yourself to others. If you don’t know anyone in your race, that’s also not a bad thing. It just means that when you start the race, you’ll need to be assessing the sequence of tactics and manoeuvres that are happening around you during the race, and working out the timing of when to utilise your own tactics to get the best outcome for yourself in the event. Having Awareness in a race is extremely important, as without it, there is a very low chance that you will achieve the outcomes that you’re setting out to achieve. It can be the difference between finishing first and finishing last. Just don’t get mixed up in confusing Awareness with Comparing. AWARENESS = Having a clear understanding of what’s happening around you in a race, and anticipating potential race tactics or manoeuvres that may play out which can be counteracted or utilised by you for your own benefit. COMPARING = Sizing yourself up against your competitors and worrying about whether there strengths will trump yours during a race. As a final point, getting to know the strengths and weaknesses and/or patterns of other riders comes with experience. If the race doesn’t go the way that you planned, don’t be too hard on yourself as you will be gaining some valuable experience and knowledge from each race that you line up for. Look at every race as an opportunity and a step closer to achieving your goals. 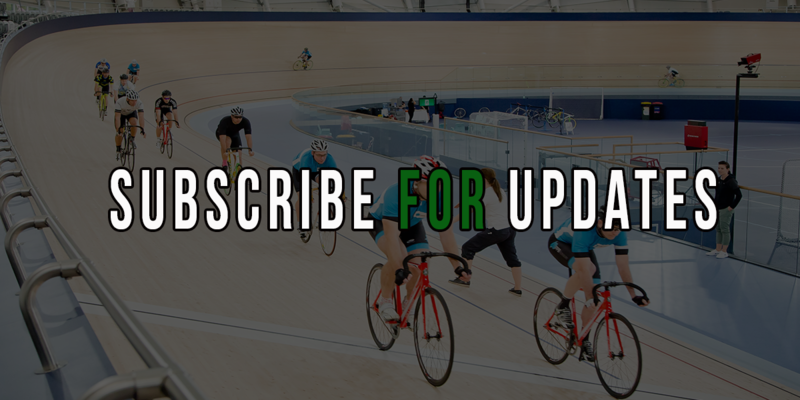 Leave us a comment below about your experiences with racing and mindset, we'd love to hear from you.